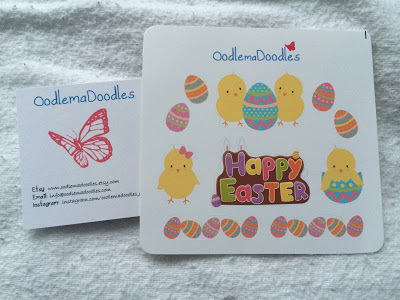 The third business in my UK Etsy series is Oodlemadoodles. 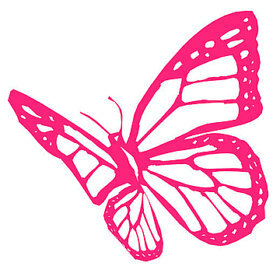 Grace, who runs the shop, produces such high quality stickers in beautiful colour schemes. 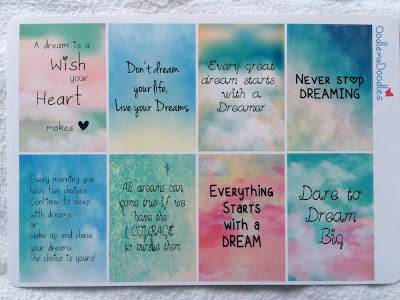 These quote boxes come in a variety of sizes for both Erin Condren and the Happy Planner. I try to include one of these every week in the sidebar as my quote for the week. I love being able to see it several times a day and helps me focus if I’m feeling stressed or demotivated. 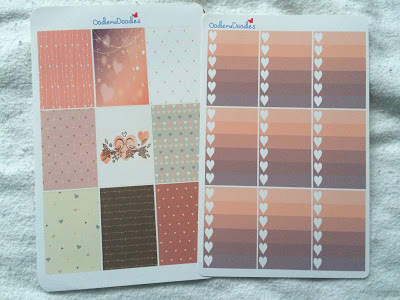 These stickers are part of the weekly kits but I just pick and chose which sheets I wanted. 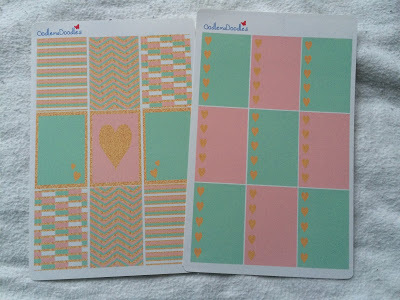 I already had some sheets in my sticker stash and these matched them perfectly. I love being able to pick the sheets I want or have the option of buying the full set! Regular kits are between £5 and £7 depending on how many sheets are in with it; alternatively you can buy a monthly kit for £12.80 which is 8 sheets of stickers. 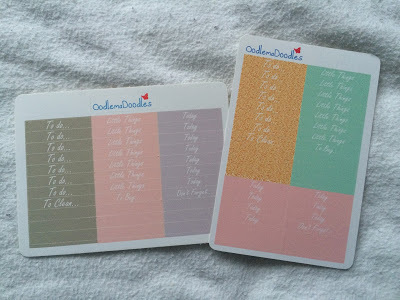 I think these are amazing prices as you get over 175 stickers in a monthly kit! This month’s freebies are these super cute Easter eggs and chicks which means I can start planning up until then now! I also got a free business card with a new discount code on it which is valid for the rest of the month. Currently Grace has 10% off in her store if you use the code INSTAPLANNER. Follow her on Etsy and Instagram right now for a look at new releases and discount codes!